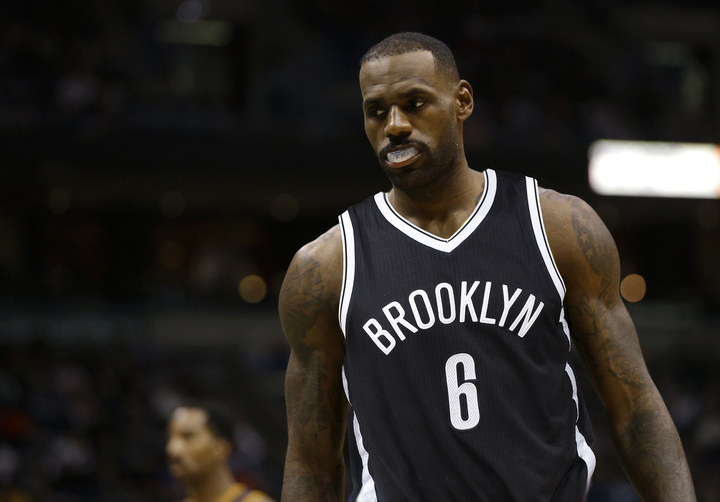 Meaningless Case Study: What if LeBron James never took his talents to South Beach? On the night LeBron James' highly criticized declaration cracked the city of Cleveland and violently crushed a title-contending franchise into fragments of despair, the NBA as a whole shook too. "The Decision" of Summer 2010 was a magnified, out of control act of pomp and circumstance which left the Miami Heat stunned and primed for not one, not two, not three, not four ... yeah, you know the rest. But so much about the future changed, not just in South Beach or in Cleveland. New York Knicks fans would eventually be affected, as would the New Jersey/Brooklyn Nets, Los Angeles Clippers, San Antonio Spurs, Dallas Mavericks, Oklahoma City Thunder, Golden State Warriors, Chicago Bulls, Dwyane Wade, Chris Bosh, Carmelo Anthony, Amar'e Stoudemire, Jimmy Butler, Deron Williams, Donald Sterling and so many more franchises, businesses and public figures. Now that LeBron has begun another season with the Cavaliers -- and visited the White House this week to celebrate a title -- let's take a look at what would've happened had King James made different choices -- or, simply put, never took his talents to South Beach in 2010. LeBron James looked uncomfortable. It was evident, the man in the purple-checkered shirt was bracing for the hell he'd soon endure from the place he called home. "This fall... man, this is tough," he blurted nervously to Jim Gray, just minutes from the Knicks' practice facility in Tarrytown, N.Y. "This fall, I've decided to join Amar'e Stoudemire and become a New York Knick." And with that, the team's years-long courtship of James was finally complete. Team president Donnie Walsh's seemingly endless maneuvering to rid the team's payroll of Isiah Thomas' mistakes was well worth the pain during the pursuit. LeBron played the modest character in the months leading up to the season, praising Stoudemire for being the leader of the team and coercing him, Mike Miller and point guard Derek Fisher to all join forces. A nucleus of Fisher, rookie Landry Fields, Danilo Gallinari, Wilson Chandler, Toney Douglas, Shawne Williams, Ronny Turiaf and Bill Walker -- to go along with the two superstars -- was enough to keep the Knicks around the top of the Eastern Conference until early February. With James and Stoudemire both averaging more than 25 points, the Knicks finally seemed to have the perfect personnel for Mike D'Antoni's up-and-down system. They were the highest-scoring offense in the NBA, but any positive achievement always seemed to be overshadowed by the looming rumors surrounding a Big Three to rival the one in Boston. The Knicks had been in trade negotiations with Denver for Carmelo Anthony through most of the season, but with LeBron and Amar'e taking up most of the team's salary, Walsh just didn't have the assets to purpose a fair deal -- despite Anthony's desire to become a super-scorer in orange and blue. The drama ceased on the eve of the trade deadline, when the cross-river rival New Jersey Nets pulled off a blockbuster trade to land 'Melo and Chauncey Billups in exchange for Devin Harris, Derrick Favors, Anthony Morrow, Troy Murphy and four first-round picks. LeBron and Anthony, prep rivals since before their NBA days began in 2003, were now New York City rivals. That first season with the Knicks was about as successful as any expert predicted. After stomping through the Atlanta Hawks and Philadelphia 76ers in the first two rounds of the playoffs -- around the time James was named MVP for the third straight year -- they then faced an Eastern Conference Finals bout against Chris Bosh, Dwyane Wade and the Miami Heat. It went seven games, and even with James shooting just 3-of-19 in the decisive contest, the Knicks rode Stoudemire's 40 points and 12 rebounds to clinch their first Finals berth in more than a decade. Dirk Nowitzki, Tyson Chandler, Jason Kidd and the Dallas Mavericks awaited them in the NBA Finals in a battle between offensive prowess and defensive grit. And in Game 1 at the Garden, LeBron redeemed himself to the New York faithful for his Game 7 dud in the Conference Finals. 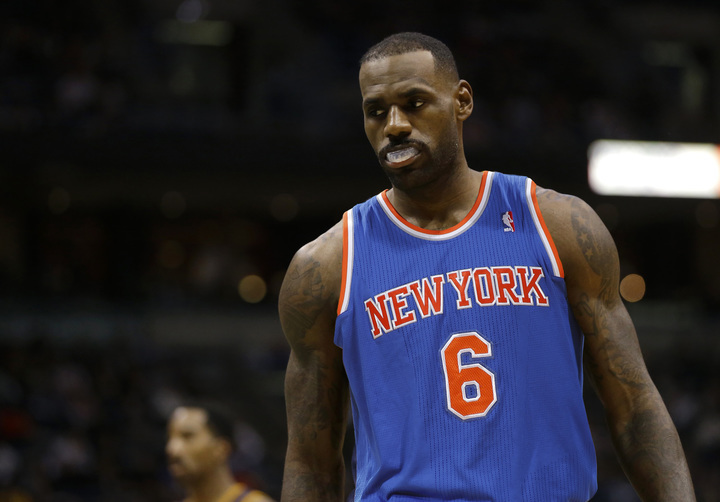 James exploded for 50 points in an all-time great Finals performance, and the Knicks won handily, 113-96. But that was the last game New York would win that season. Dallas won four straight and clinched the title, sending James and company into a frustrating offseason littered with questions. When the league's lockout finally lifted the following December, new GM Glen Grunwald was able to do some cap maneuvering to sign one of the players that had just ruined their title hopes: Tyson Chandler. In addition to rookie Jimmy Butler, selected at No. 28 in the draft just before the lockout began, the Knicks were suddenly an even deeper team than the year before. The lockout-shortened 2011-12 campaign got off on the wrong foot, with Stoudemire sidelined for the first six weeks with a back injury -- the first of three stints that year he'd be forced to sit out with ailments. With Fisher showing signs of age at 37, the team was forced to think about external options at the point guard spot. The Celtics, growing frustrated with their own point guard, engaged the Knicks in trade talks. By late January, Gallinari, Douglas and a future Knicks first-rounder were sent to Boston, landing Rajon Rondo in the Big Apple. The relationship between James and Rondo -- after years of sparring in the playoffs -- was tenuous to start. But with Stoudemire out of the lineup, James knew the smallest internal flare-up could send the team off the rails. The pair kept it together enough for the Knicks to march on to the Conference Finals once again. 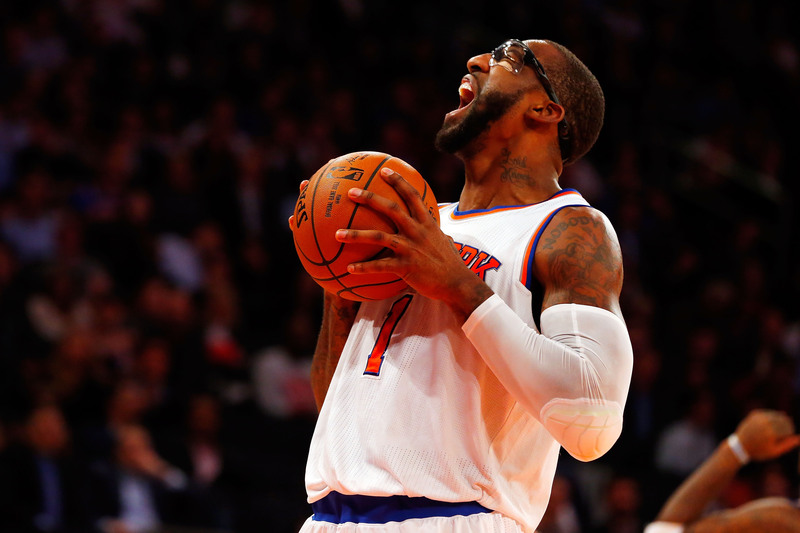 Stoudemire returned from a two-month absence in Game 1 against league MVP Derrick Rose and the Chicago Bulls, and James, determined to return to the Finals for a second straight year, put on his best individual New York performance yet. He averaged 37 points over the six games, but Rose's pair of triple-doubles were enough to lift Chicago, which went on to defeat Kobe Bryant, Chris Paul and the Los Angeles Lakers in the NBA Finals in Phil Jackson's last year as a coach. But as fun as those first two years of James' Knicks tenure were, the good tidings wore off soon after. After receiving the news that Stoudemire would miss the entire 2012-13 season after undergoing knee surgery, the Knicks cut ties with the former star after just two seasons by using their amnesty clause on him. Without any true replacement to make up for Stoudemire's scoring, New York got off to a slow start, and D'Antoni was fired just two months into the season. Top assistant Mike Woodson stepped in, and despite a complete 180 in terms of ideology, the players responded well to the shakeup. A second-place finish in the East, led by LeBron's 29 points on average. With Chandler patrolling the paint, Rondo keeping his composure under Woodson and James dominating in all phases, the Knicks were able to take advantage of a weak Eastern Conference and charge to the NBA Finals once again. A long-awaited Finals bout between James and Kevin Durant was finally a reality, as New York took on Oklahoma City for the title -- and it provided the basketball world with a new wealth of highlights. 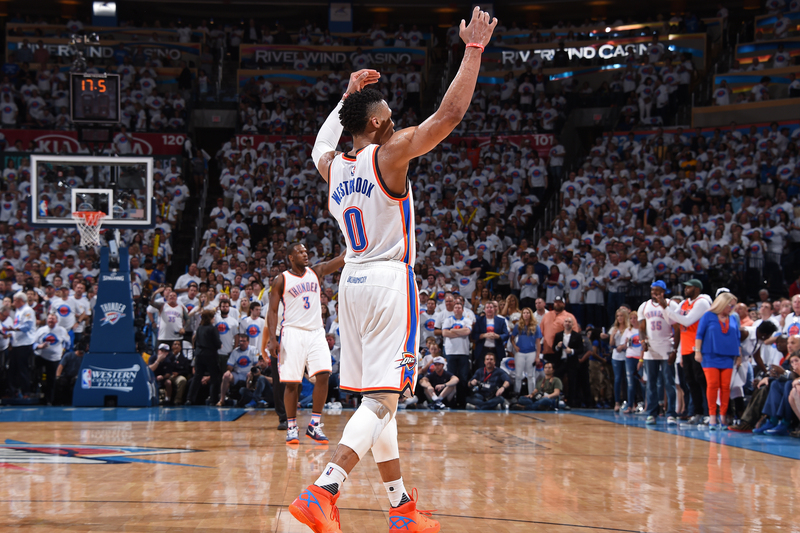 James and Durant both averaged more than 35 points over the seven-game series -- as Rondo had four games of 13-plus assists and Russell Westbrook went off for a pair of 40-point performances. But in Game 7 at OKC, talent won out. The well-rounded Thunder crushed LeBron's Knicks by 15 to win their first-ever title. With James still ringless entering the potentially final year of his contract, the 2013-14 campaign was filled with wall-to-wall fodder regarding James' possible return to Cleveland after the season. On the court, though, it was business as usual, as he looked determined as ever to finally claim his first title with the Knicks. 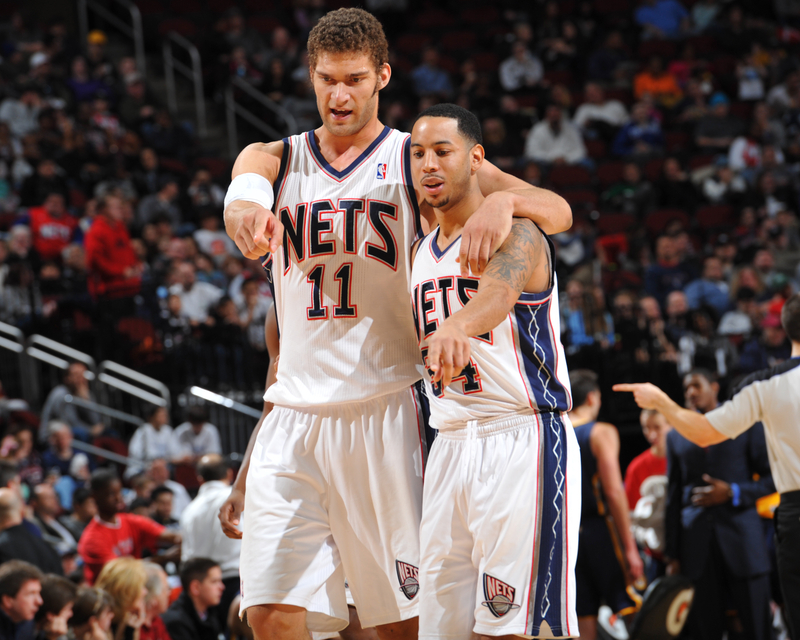 The team got off to a scorching 12-0, then 20-2 start to jump way in front of the Eastern Conference pack. They eventually grabbed the first seed in a 62-win campaign and then handled the Bucks and Raptors in the first two rounds. An Eastern Conference finals matchup against second-seeded Chicago came next, and after a brief scare in Game 1, they moved on in five games with relative ease. But disappointment enveloped New York once more. Former Knicks coach Mike D'Antoni had led the Los Angeles Lakers to another Finals berth, getting Bryant, Paul and Dwight Howard to form the newest rendition of the Big Three. And in six games, LA claimed the crown on the Garden floor. Fans consoled James with applause as he walked off the floor one last time, his white, blue and orange jersey torn off and in hand as he walked through the tunnel. It'd be the last time he'd make that walk off the floor as a Knick. At 29, still without a championship to his name despite four MVP trophies, LeBron made the only move he felt he could. That summer, without a television special or any theatrics, he opted out of his Knicks contract and returned to Cleveland, despite the Cavs finishing dead-last in two of the four years he'd been gone. James didn't seem to care. "I'm ready to accept the challenge. I'm coming home," he told Sports Illustrated. He thanked the Knicks and regretted how he was never able to deliver what he promised back in 2010. But, as he put it, he always felt he'd eventually be going back to Cleveland. The Nets, a punchless franchise in desperate need of some marketing juice, used that one-word slogan when their move from the Garden State to Brooklyn was complete. Yeah, that has a ring to it. But the dark truth was, the Nets were still cast away in New Jersey, playing inside the Prudential Center -- a pristine new building which housed the NHL's Devils and surely served as an upgrade from the blank slab of concrete with IZOD logos slapped on the exterior of an outdated arena in the middle of a swamp. The soon-to-be-hired new marketing and community development teams were still months from coming up with the "Hello" campaign, and this team was still just the same ole' Nets. Boring. Losers. Nomads. A lot more losses than wins. Those were the slogans, but they just didn't appear on t-shirts and hats. The roster was almost historically horrific, but it didn't take an acute basketball mind to notice they were headed in the right direction thanks to a young core highlighted by All-Star duo Devin Harris and Brook Lopez. The eventual move to Brooklyn was signed and sealed, and a global superstar would make the migration an overwhelming success. Plus, moving to a bigger market and presenting a fun challenge of stealing away Knicks fans inside the same city certainly gave the Nets a unique, interesting sales pitch. From a business standpoint, the arithmetic and talking points checked out. From a basketball standpoint, it'd be a seamless transition; a high-caliber point guard and center needed an explosive wing to form a Big Three. He'd also get to hand-pick his coach, as interim coach Kiki Vandeweghe was not going to be welcomed back after a mind-numbing 12-70 season. So, yes, LeBron's name had been associated with the Nets from the start of a wild process in which the world's best basketball player was looking to solidify the next couple years of his precious future. But when the day of "The Decision" came, nobody actually believed what happened. "It's hard to explain, but in the seven years that I gave to that franchise, to that city, was everything. I mean, there were 20,000-plus fans who came out every night we played and they saw me grow from an 18-year-old kid to a 25-year-old man," James told Jim Gray in a television special on July 8, 2010. "I never wanted to leave Cleveland, and my heart will always be around that area, but I also felt like this is the greatest challenge for me, is to move on." When he proceeded to announce he would be joining the Nets, the NBA world was left stunned. It turned out, putting a rebranded organization on his back was the ultimate challenge. Sure, the other suitors needed his services. They needed him to win championships. But they already had fanbases and an established place in the market's culture. The Nets were nowhere. And then, all of a sudden, they were ahead of everybody else in the business. The 2010-11 and 11-12 seasons ended with the Nets falling in the NBA Finals to the San Antonio Spurs and Oklahoma City Thunder, respectively. But those proved to be stepping stones toward a triumphant '12-13 campaign in which the team moved into the Barclays Center, captivated sell-out crowds and ran away with the championship by cruising past the Spurs. LeBron, the Finals MVP, averaged over 30 points in the five-game series, while Deron Williams and Lopez provided plenty of support. In three years, the Nets went from oblivion to on top of the world -- and their leader went from uncertainty to fulfillment. The image of LeBron, cloaked in a No. 6 black Nets jersey, hugging the trophy was the beautiful image captured for the following week's Sports Illustrated cover. In the final year of his contract, things weren't so pretty for LeBron, though. Lopez missed most of the season with another foot issue, while rumors of James and Williams' on-going feud continued to be an elephant in the room. Jason Kidd, with a growing ego as a leader on the sideline, also reportedly clashed with James throughout the 50-win season and continued throughout the playoffs, which ended with the Nets falling to the Indiana Pacers in the Eastern semifinals. It also didn't take long for Adrian Wojnarowski to send out a "Woj Bomb" on Twitter confirming what Nets fans dreaded: LeBron James intends on exploring other team's pitches 'with open ears', according to sources. When he finally decided to go back home to Cleveland, the Nets were back to where they were -- a scattered mess of a franchise like years past, disguised in different uniform colors. Sean Marks, now making risky moves in his first offseason as the Nets' GM, often looks up to the title banner hanging in the rafters, next to Kidd's retired jersey. "Next summer, I'm gonna try and follow in the footsteps of the great Michael Jordan, and join the Chicago Bulls." 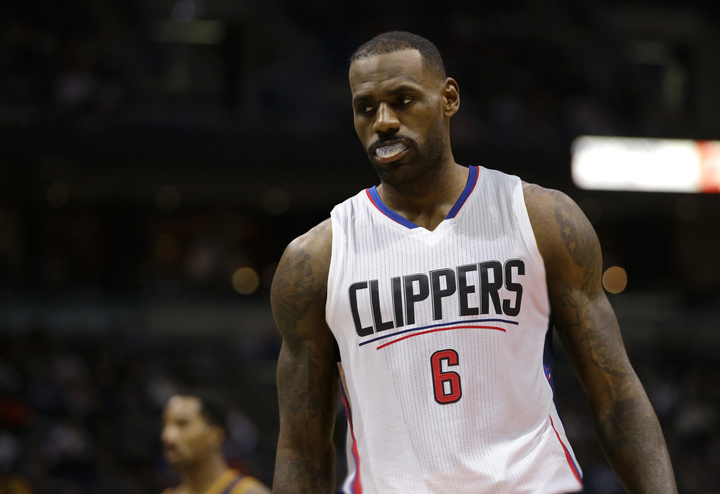 LeBron James regretted that sentence the moment it left his mouth. He never wanted to phrase it that way -- he genuinely wanted to sign with Chicago, but hated the Jordan comparisons. His team insisted, though. Just as they insisted on "The Decision" in the first place. Even Jim Gray noticed James' uneasiness. "LeBron, you're sure you're ready for this?" 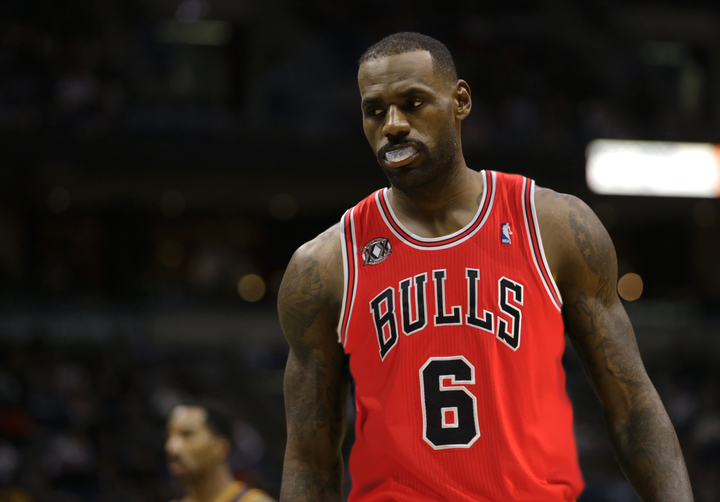 From the start, it was painfully obvious that LeBron was doomed from the very moment he brought up Jordan's name. At every opportunity afterward, he did his best to backtrack, but the damage had been done. On the court, a starting five of Derrick Rose, Luol Deng, James, Carlos Boozer and Joakim Noah performed well enough to make it to the NBA Finals in two consecutive seasons -- but it seemed as if that hardly mattered to LeBron -- who chronically underperformed in the closing minutes of games, and quickly made the switch from happy-go-lucky kid in Cleveland to a man in Chicago who realized he'd made the biggest mistake of his life. Things came to a head for James after that second season as a Bull. With Rose winning back-to-back MVP awards and LeBron crumbling in the Finals for a second straight postseason. He did what he'd been dying to do for a year-and-a-half. He opted out of his five-year contract after just two seasons, using the player option he negotiated into his deal after "The Decision" went as poorly as it did two years prior. He was a free agent once again -- but without the years-long buildup, without the fanfare and without the ESPN television special. Now, a humbled King still had suitors lining at the door, but none of that mattered. He had one destination in mind. And with one tweet, a return was set in stone. The concept was laughable. The game's brightest star -- someone who could go down as the best to ever play -- giving serious consideration to joining the LA Clippers on his own terms was ludicrous. A mere meeting between the two sides seemed like nothing more than a courtesy on the part of James. Sure, the Clippers had the cap room to afford him. But it was hard to believe the meeting was anything more than a formality. And before the Clippers contingent arrived at the eighth floor of the IMG building in Cleveland to speak with LeBron, he'd later admit that he felt that way too. But his camp was pleasantly surprised with how straightforward GM Neil Olshey was. Olshey coached James during a summer camp prior to his senior year of high school, and the two developed a good relationship there. So when Olshey's presentation began with a dose of realism, LeBron was ready to give his full attention. Unlike the Knicks' presentation, which needed a rental van to hold all the necessary equipment, and LeBron's meeting with Miami that lasted nearly three hours, the Clips weren't there to woo James with bells and whistles. As Olshey put it, LeBron was already familiar with the best restaurants, the bright lights and the big names that Los Angeles brought. But what he wasn't necessarily familiar with, heading into the summer, was the Clippers' roster. So, for James, after exhausting, high-level thinking, it was refreshing just to think about basketball -- but more importantly, how a pairing with 21-year-old Blake Griffin could grow to dominate the league for years. The meeting was quick, and LeBron was intrigued enough to seek out Griffin after he was through being courted by the Bulls and Cavaliers the next day. Though he still hadn't made his NBA debut, Griffin had been around the NBA for more than a year -- he sat out that first season with knee troubles. But when the two finally did meet, James became sure of the inclination he'd been feeling for a year: that Griffin had the potential to blossom into the kind of impact player that he was himself. Of course, it didn't hurt that LeBron had a tentative agreement with Clippers brass that they'd pursue Chris Paul via trade in the coming year-plus. But by the time "The Decision" rolled around, he -- surprisingly -- had very little doubt left. Even though Jim Gray had been briefed on his decision in the minutes before the special aired, it was easy to spot the bewilderment on his face after James unleashed the biggest bombshell in recent sports history. LeBron, for his part, looked calmer than he ever had. And after just a few games -- once a summer's worth of wall-to-wall media coverage and second-guessing slowed down -- "The Decision" seemed like a more than reasonable one. Griffin, over his first 10 games, was averaging 16 and 10, while James led the team in scoring and assists with 24 and seven. More importantly, at 20-13 by the time the calendar turned, the Clippers were winning. Los Angeles already seemed like home -- not with the Lakers, where he'd be playing in the shadows of countless banners. But as a Clipper, with a franchise that he had the right to call his own. That first season in Los Angeles went, more or less, how LeBron had planned. Griffin put up Rookie of the Year numbers while James led the show and the team's young talent -- Eric Bledsoe, Eric Gordon, DeAndre Jordan, Al-Farouq Aminu -- truly impressed in spurts. But against new Western Conference competition, he was more worn down in the postseason than ever before. After a seven-game first-round bout against Dirk Nowitzki's Dallas Mavericks, the Clips were sent packing. And while the LeBron-Blake duo was clearly the team's nucleus moving forward, it wasn't long into the summer before the rumblings: CP3 was through with the New Orleans Hornets and was demanding a trade to Hollywood -- either to the Lakers, to play with Kobe Bryant, or the Clips, to form a new Big Three. In the first true power struggle between the Lakers and Clippers, we saw just how much power LeBron had over the NBA landscape. In hindsight, it was noticeable how he was careful not to establish a particularly close-knit relationship with the rest of the team. 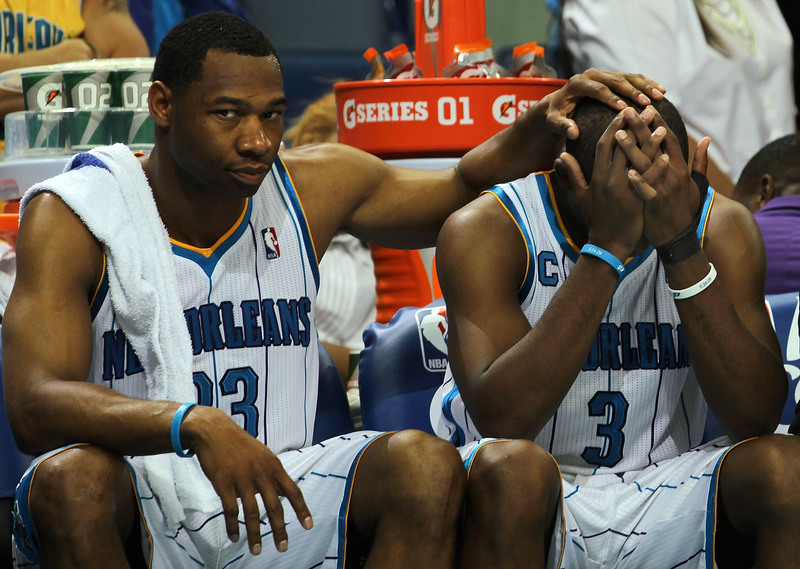 Because shortly after the NBA's lockout was lifted in December of 2011, several of those teammates we re-routed to New Orleans. It took a large chunk of the team's make-up -- including Gordon, Bledsoe and Aminu -- but Paul was a Clipper in time for the start of the 2011-12 campaign. The new Big Three had formed. The two seasons that followed included some success, with each resulting in trips to the Conference Finals. But LeBron's moment came early in the 2014 postseason -- while he was still without a championship to his name. In the midst of the Donald Sterling fallout that had shaken the NBA -- and the Clippers organization especially -- both LA and the home-team Golden State Warriors were weighing measures to protest against Sterling in an effort to get him removed from the league by newly minted commissioner Adam Silver. The idea of a silent protest was discussed, but a few hours before Game 4 of the first-round series, James took a stand. "I ain't playing this damn game," he told Paul and Griffin privately. With the triumvirate leading the charge, it didn't take much to convince the rest of the team that a complete protest of a nationally televised playoff game would send the message loud and clear: There is no place for people like Donald Sterling in the NBA. After a behind-the-scenes meeting with Stephen Curry, Klay Thompson, Andre Iguodala and Jermaine O'Neal, the plan was set in stone. There would be no basketball played that night. The two teams suited up for warmups as if all was normal -- until it was time to announce the starting lineups. James then walked to the scorer's table, demanded a microphone, and addressed not only the fans in attendance, but the entire country. "There's no place for a Donald Sterling in our league, and this series will not continue until this matter is resolved," his voice rang over the arena's speakers. "We apologize to the fans, but you won't be seeing any basketball here until this is handled appropriately." Message: received. The very next day, at a news conference in New York City, Silver banned Sterling for life, and set in motion a plan for him to sell the team before the following season. With nearly the entire NBA behind him, James then strung together some of the best performances of his life. Powering through Golden State, the Oklahoma City Thunder and San Antonio Spurs, James' Clippers took on Paul George and the Indiana Pacers in the NBA Finals -- but it was no contest. Paul, Griffin, LeBron and the Clips took the first of their back-to-back NBA titles in a clean sweep, setting up a 2014-15 campaign in which he signed a brand-new five-year deal to remain a Clipper for the rest of his prime. Innocent anticipation turned into a grueling, dragged-out period of insanity. Would LeBron stay, or would he leave? "No, no way he leaves home," many thought. "He isn't going to win with this team, ever," others figured. This volcanic build-up finally culminated with Jim Gray sitting inside a Boys & Girls Club with LeBron James, the 25-year-old icon who has the world in the palms of his (shaking) hands. Gray finally came out with it after several lay-up questions. "The answer to the question everybody wants to know. LeBron, what's your decision?" LeBron stares blankly. He doesn't blink for three seconds. Eternity. "This fall ... man, this is very tough." "So many incredible franchises and people I respect opened up to me and were very welcoming. But, the tru-- ..."
There was a BUT, Cleveland fans collectively gasped. "But, the truth is, I can't picture myself ever leaving the place I grew into a man. I'm staying with the Cleveland Cavaliers to deliver on my promise made long ago. We're going to win many championships." Jubilation reverberated throughout Ohio and the chase was back on. No more drama. Just down to business with their hero, their King. Coming off a second straight 60-plus-win season, but a discouraging, early exit in the Eastern Conference semifinals, LeBron vowed to bring a title to his hometown in 2010-11, to be specific, which also was his sixth straight postseason appearance. With the entire supporting cast returning, Cleveland enjoyed another successful campaign, but came in second in the division to the 62-20 Chicago Bulls and MVP Derrick Rose. The two teams, however, met in the Eastern Conference finals and the Cavaliers took advantage of Chicago's lack of depth en route to advancing to the NBA Finals after a six-game series victory. 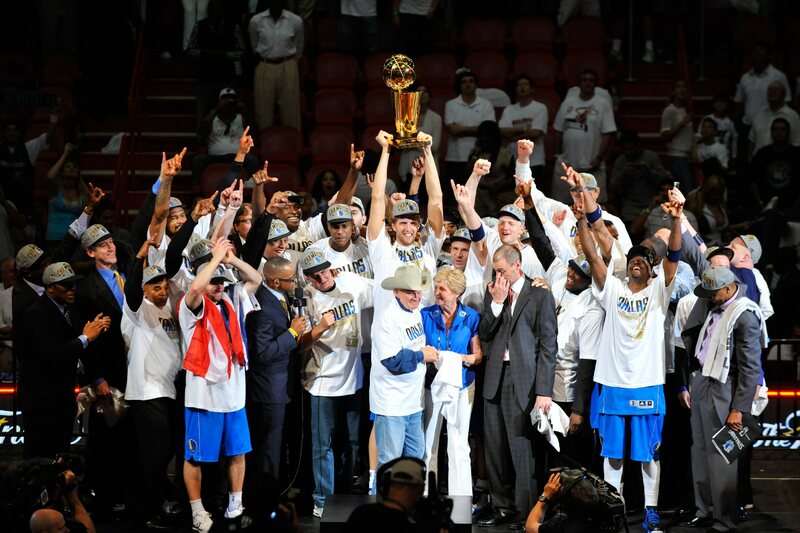 In the finals, Dirk Nowitzki and the Dallas Mavericks were too much for LeBron and clinched the title in six games. James' promise was only delayed by 12 months, as he helped the team capture the coveted NBA title in 2011-12 by defeating the Oklahoma City Thunder in a thrilling seven-game finish. 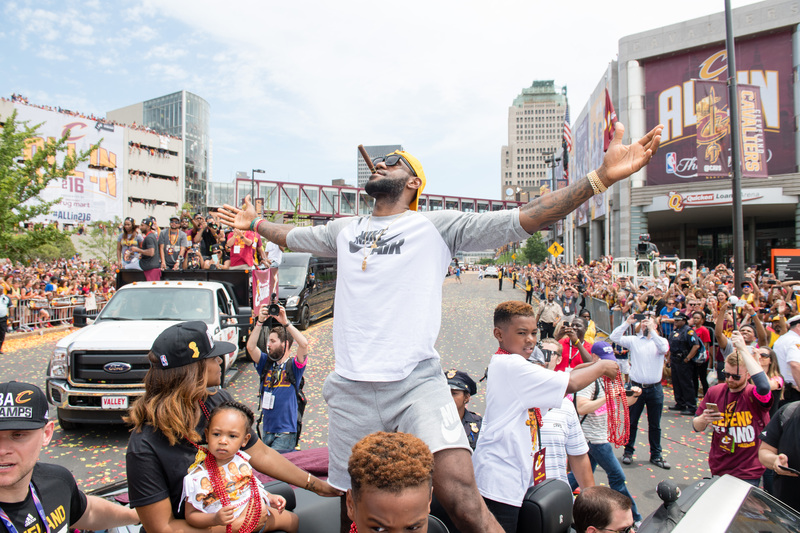 The parade was unlike anything the city has ever seen, with millions spilling into the streets to congratulate the team and pay homage to LeBron. The confetti was eventually cleaned up, but the excitement never wavered. Even as the Cavaliers spoiled the next two NBA Finals opportunities against the San Antonio Spurs, any fan would shrug and spit out the same answer: "You know what, the drought is over -- and that's enough for us." That submissive creed wore off, though, in 2015-16, when expectations were never higher -- even if the Golden State Warriors enjoyed a record-setting 73-9 regular season. When the two met in the NBA Finals, it was a clash of the titans. Stephen Curry, Klay Thompson and Draymond Green against LeBron James, Kyrie Irving and Kevin Love. That trio failed the previous year, but many figured heads would roll if the job wasn't completed this time around. Even head coach David Blatt was fired in January despite holding the conference's best record at 30-11. But the Cavaliers pulled off the impossible, winning four out of five games against the mighty Warriors in the finals after falling behind 2-0 in the epic series. In perhaps the biggest game of his career, LeBron came through in Game 7. He was named Finals MVP after scoring 27 points, grabbing 11 rebounds and dishing out 11 assists; only two other players had recorded triple-doubles in a Finals Game 7. 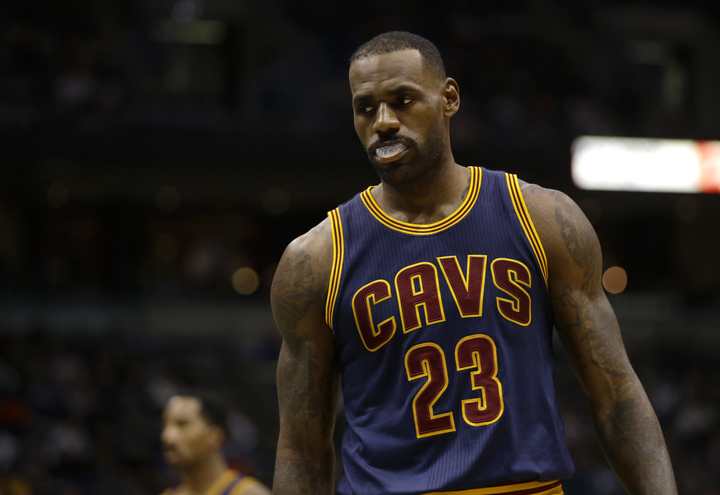 LeBron cried, maybe even more than the first time, and it was warranted. He did more than just fulfill his promise by offering Cleveland relief from its collective misery two years prior -- he gave them an even more overbearing sense of pride this time around. He always wanted more for his hometown, his team, his fans. Why? That's one choice that has overshadowed any others from the past.